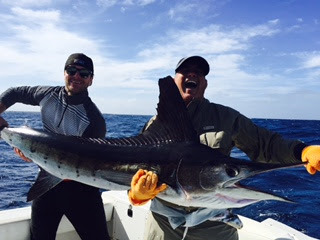 Jim Highes Dec 22nd Nice striped marlin! It's been a great day on the water almost a grand slam for Sammy but he lost his marlin on the fly we caught lots of big fish and had a blast! > Grant, here's a picture of my rooster on the fly. It was a true bucket list for me. Nobody does what you do and I can't wait to come back! 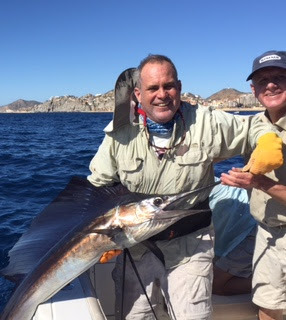 Grant, here's a picture of my rooster on the fly. It was a true bucket list for me. Nobody does what you do and I can't wait to come back! 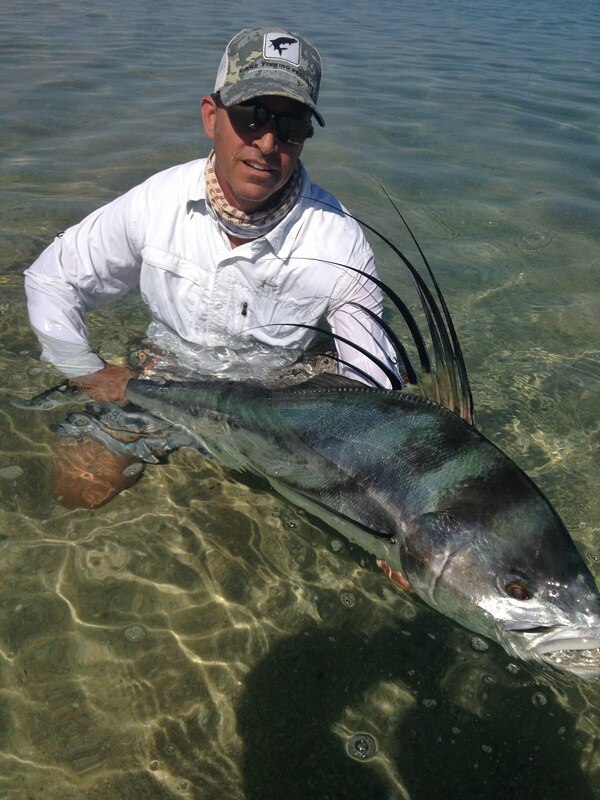 Dec 2nd-Mathew Warner 6- nice roosterfish and 1 snapper Great day Mathew!